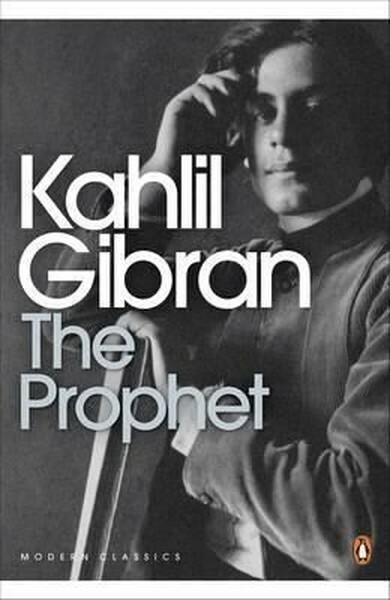 A hugely influential philosophical work of prose poetry, Kahlil Gibran's The Prophet is an inspirational, allegorical guide to living, and this Penguin Modern Classics edition includes an introduction by Robin Waterfield.First published in the 1920's, The Prophet is perhaps the most famous work of religious fiction of the twentieth century, and has sold millions of copies in more than twenty languages. Gibran's Prophet speaks of many things central to daily life: love, marriage, death, beauty, passion, eating, work and play. The spiritual message he imparts, of finding divinity through love, blends eastern mysticism, religious faith and philosophy with simple advice. The Prophet became the bible of 1960s culture and was credited with founding the New Age movement, yet it still continues to inspire people around the world today. This edition is illustrated with Gibran's famous visionary paintings. Kahlil Gibran (1883-1931) was a poet, philosopher and artist, who stands among the most important Arabic language authors of the early twentieth century. Born in Lebanon, he spent the last twenty years of his life in the United States, where for many years he was the leader of a Lebansese writing circle in New York. He is the author of numerous volumes, including The Garden of the Prophet, The Storm, The Beloved: Reflections on the Path of the Heart, The Vision, Reflections on the Way of the Soul, and Spirit Brides.